The fourth round of the CEV Men’s Champions League begins on Tuesday, Nov. 20, and continues through Thursday, Nov. 22. Over those three days, the 20 professional club teams from across Europe that either advanced through the three rounds of the qualifier or earned an automatic berth will face off in the first leg of the group stage. The CEV Champions League stretches over eight months and features the top teams on the continent, many of which boast Team USA’s top players. Here’s what you need to know before tuning into these matches on FloVolleyball. Russia’s Zenit Kazan has dominated Champions League for the past four seasons, winning every title since 2015 and claiming a total of six championships in the team’s history. American superstar Matt Anderson has been a big part of those last four titles, and this season, he’ll be joined by French outside hitter Earvin N’Gapeth, who was named the Most Valuable Player of the 2017 FIVB World League and comes to Kazan from Modena. The squad also includes Russian national team members Artem Volvich, Alexander Butko, Alexey Verbov, and Maxim Mikhaylov, the MVP of the 2018 Volleyball Nations League. In short, Kazan is once again the team to beat. The team will kick off its title defense on Wednesday, facing off against United Volleys Frankfurt, which includes former UCSD opposite Tanner Syftestad. 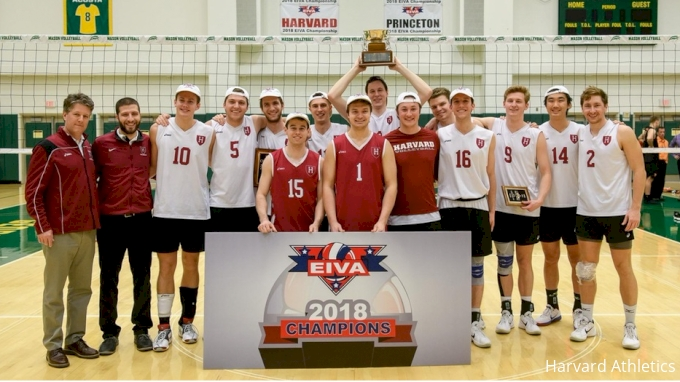 USA men’s national team middle blocker Taylor Averill joined fellow American Michael Saeta at Chaumont in France’s Ligue A and already Averill is making significant contributions to his new professional team. Against Vojvodina NS Seme Novi Sad of Serbia in the third round of Champions League, Chaumont got the sweep in both the home and away legs, with Averill contributing nine points in the first meeting and a match-high 12 in the second. In Ligue A competition, Averill, Saeta, and their Chaumont squad are 3-2. They take on Zenit Saint Petersburg in their first Champions League group stage match. Start a new Thanksgiving tradition by tuning into one of the Champions League matches that happen to fall on Turkey Day. Both matches feature a number of American athletes, so it’s also a great way to support your favorite Team USA athletes as they spend their holiday competing overseas. First up, at 12:30 PM CT, you can see Americans Dustin Watten, Jeff Jendryk, Ben Patch, and Kyle Russell don their Berlin Recycling Volley’s jerseys and face off against Greenyard Maaseik from Belgium. So far in Germany’s Bundesliga, the Recycling Volleys are 4-2. Then, at 1:30 PM CT, Max Holt, Jennings Franciskovic, and Micah Christenson, competing for Azimut Modena, will take on Cucine Lube and their fellow men’s national team member Brenden Sander. Modena and Lube both compete in the Italian SuperLega and are ranked third and second, respectively, in the current league standings; however, they have not yet gone head-to-head in SuperLega competition. All but two first leg matches feature American players. In addition to the ones mentioned above, you’ve got Sam Holt (CSUN) with Knack Roeselare, Mitch Stahl (UCLA) with Tours VB, Jalen Penrose (Penn State) with Cez Karlovarsko, and Jonah Seif (UCSB) with Sir Colussi Sicoma Perugia. The second leg of the CEV Champions League group stage will take place Dec. 18-20, 2018.